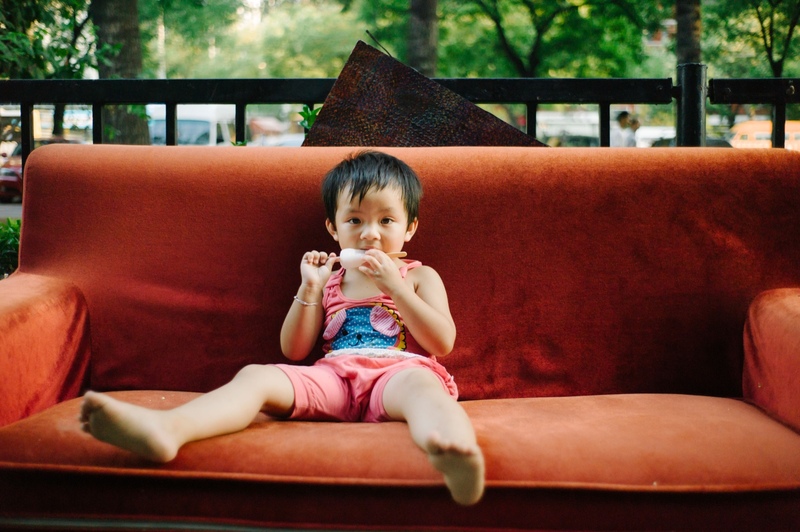 I was walking with a friend and saw this kid on a red couch in the middle of the sidewalk eating ice cream. About 20 feet later I stopped my friend and said “I really want to take a picture of that kid”. She said “Well just go take a picture of the kid!”. So we walked back, asked him, and he said yes. One of my first shots from a 35mm lens. ISO 1000, f/2, 1⁄1000 sec.